I love the BOCK. ett la benn designed this beautiful and convincing flexible desk. et la benn is an agency for product, interior and concept design from Berlin. BOCK impersonates everything I like about good interior design. It is simple thoughtful, useful, and beautiful. 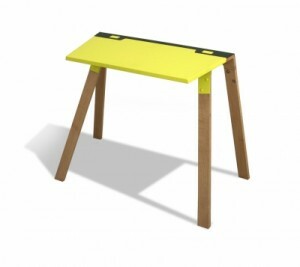 If I wouldn’t have builded my personal perfect desk myself, I would try everything to get one BOCK. I am amazed by the idea and the realisation.